Notes: Jul. 1957←Aug. 1957→Sep. 1957 Vol 59, No 6. Eric van Lhin is incorrectly credited as Eric van Lihn. 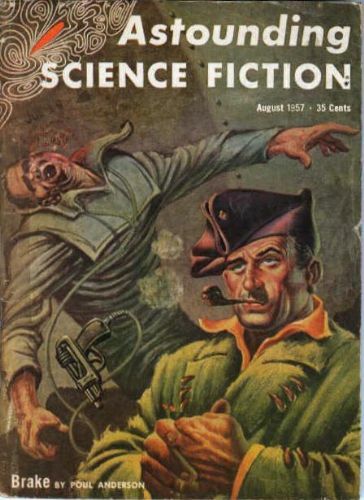 Editor Title: Astounding Science Fiction - 1957 • [Astounding / Analog (1937-1971)] • (1957) • edited by John W. Campbell, Jr.
111 • Bring Back Those Mustard Plants! • essay by Paul M. Leavy, Jr.